It’s Redbud Winter here in East Tennessee today. After being in the 70s just two days ago it got down to 29 early this morning. 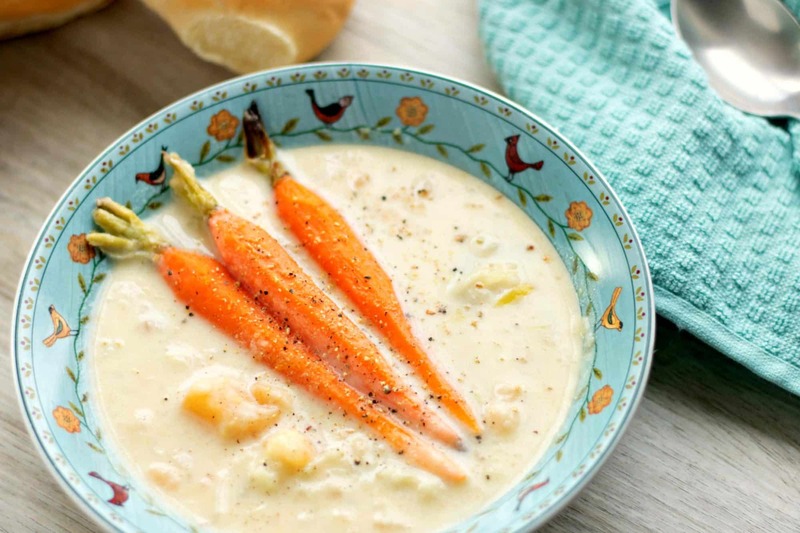 Which means it’s a perfect day for some root vegetable soup. I hate these drastic changes in temperature. It’s like… it’s spring! NOPE, just teasing, it’s winter. Then, just kidding, it’s spring again. Mother Natures best April Fools prank for sure. But at least it gives me an excuse to make some homemade root vegetable soup today. 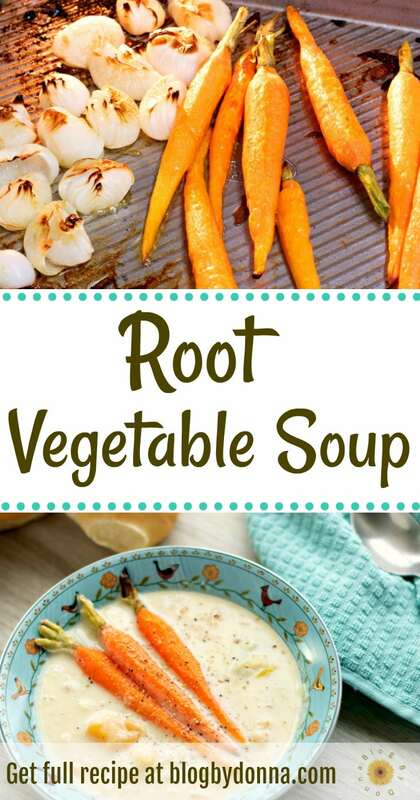 I love root vegetable soup because it’s such a hearty soup. 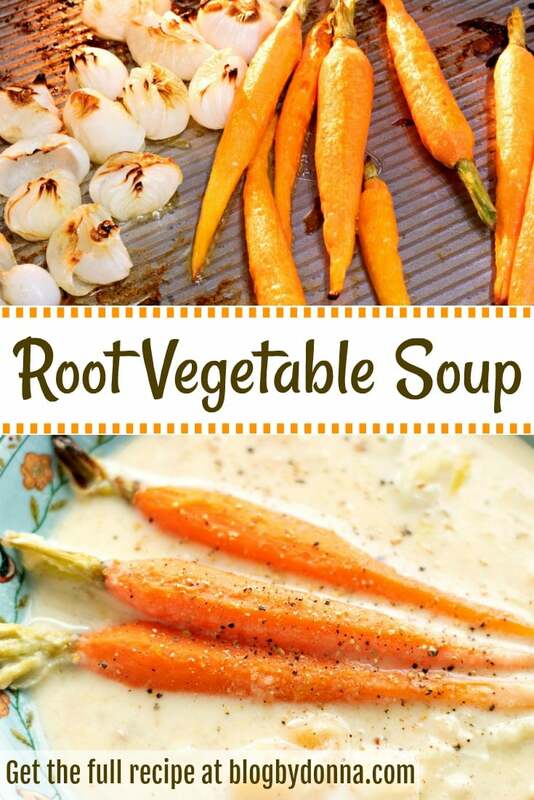 Root vegetable soup gets its name from just what it sounds like… root vegetables. And root vegetables are vegetables that grow underground or in the earth, like potatoes, rutabagas, and carrots. 12 small carrots with greens still attached. Lower heat, add rutabaga and potatoes, cover. Simmer for 30 minutes or until rutabaga is soft. Mash roughly with a potato masher half of the potatoes and rutabaga, leaving larger pieces. Halve onions, thinly slice white section of leek, and peel carrots leaving some greens attached (about an inch). Place on baking sheet, coat with olive oil. 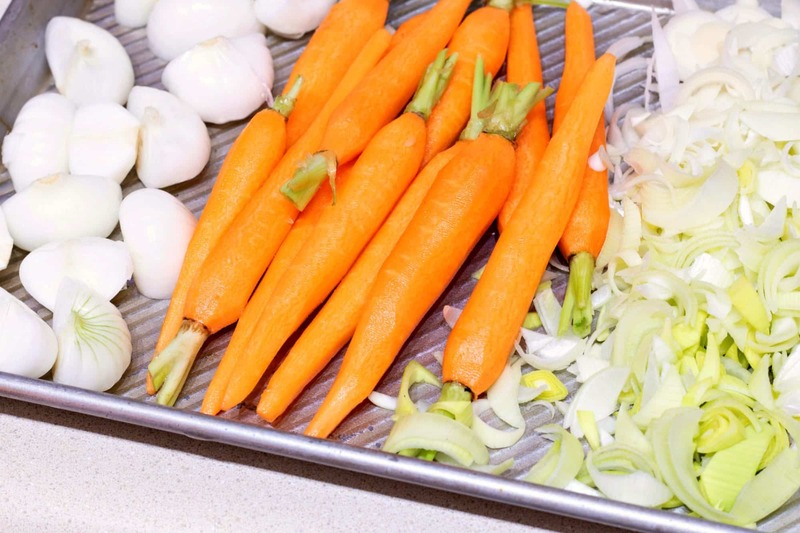 Roast for 15 minutes, remove leeks, add them to soup, and continue roasting onions and carrots for 20 additional minutes. Add cream and salt and pepper to taste. Mix until combined. 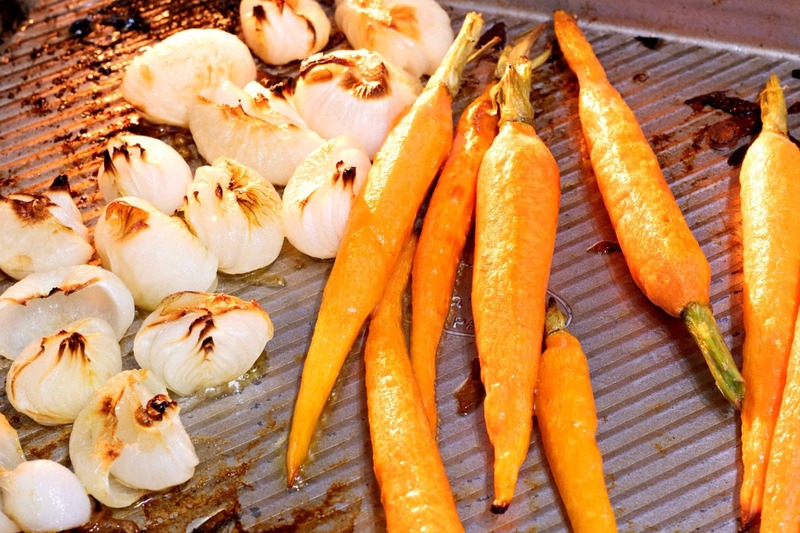 Remove from heat and add the carrots and onions. If you’re like me, you’ll eat soup any time of the year, but when the temperature drops below 50, it is officially soup weather to me. 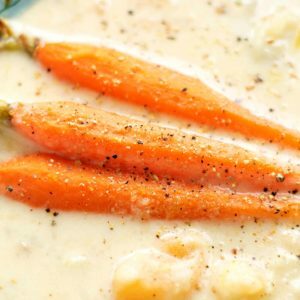 A creamy delicious soup perfect for a cold day, any time of the year. While potatoes and rutabaga are simmering, halve onions, thinly slice white section of leek, and peel carrots leaving some greens attached (about an inch). 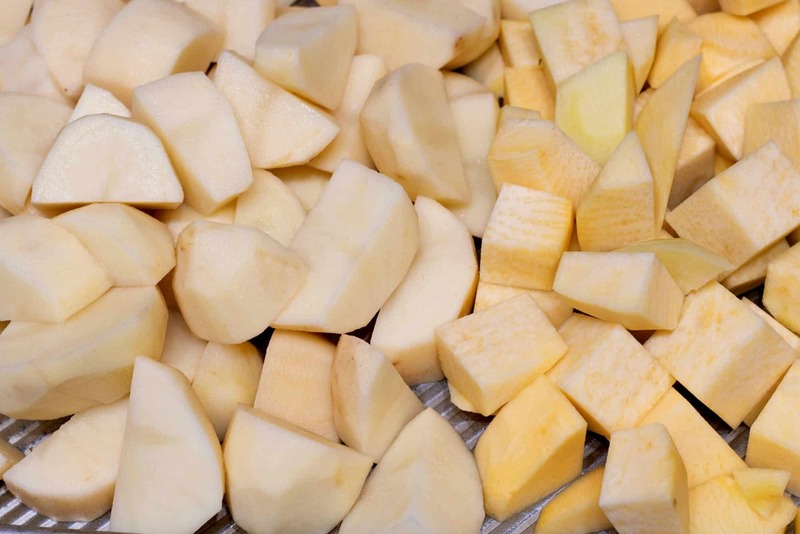 When potatoes and rutabaga are finished cooking, mash roughly half of the potatoes and rutabaga, leaving larger pieces. 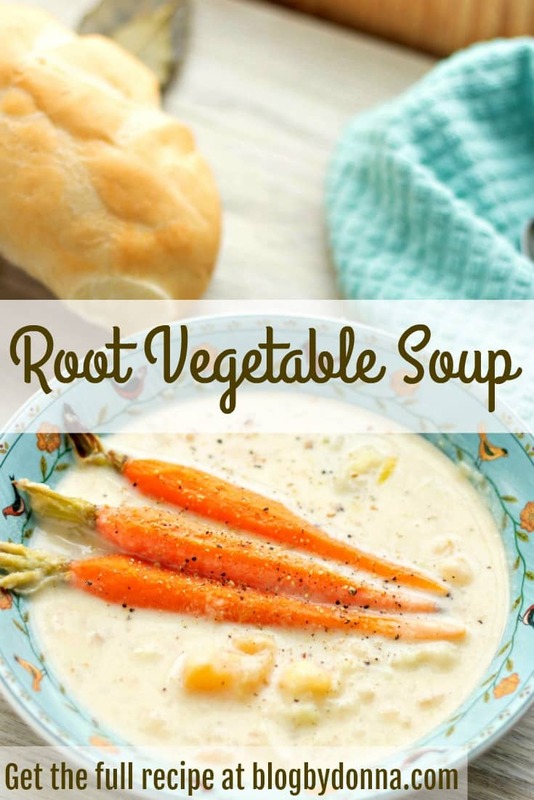 I think you’ll enjoy this easy, delicious root vegetable soup recipe. It’s creamy, rich, and hits the spot on a cool day, no matter what time of the year.